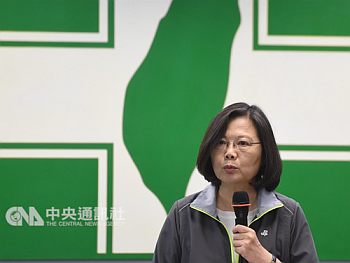 election on Jan. 6 for a chairperson to replace President Tsai Ing-wen (蔡英文), who stepped down from the post in the wake the party’s defeat in the Nov. 24 local government elections. The Jan. 6 date was decided Wednesday at a meeting of the party’s Central Executive Committee, according to DPP spokesman Johnny Lin (林琮盛). Lin said registration for the by-election will be held Dec. 10-14, and the candidates’ qualification will be screened by the committee Dec. 19.